The Jerry Garcia Band was an American rock band led by Jerry Garcia of the Grateful Dead. Garcia started the band in 1975. Of his many side projects, this was the main one, until his death in 1995. Jerry Garcia Band employs many of the same elements and similar style to the Grateful Dead. 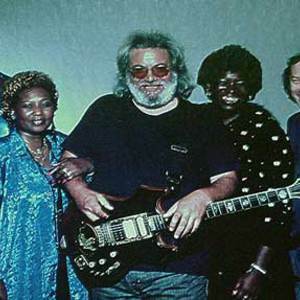 Jerry Garcia Band played rock music that was influenced by blues, folk, country, and jazz. Over the years, the lineup of the Jerry Garcia Band changed a number of times. The one constant member besides Garcia himself was bassist John Kahn. Jerry Garcia Band employs many of the same elements and similar style to the Grateful Dead. Jerry Garcia Band played rock music that was influenced by blues, folk, country, and jazz. Over the years, the lineup of the Jerry Garcia Band changed a number of times. The one constant member besides Garcia himself was bassist John Kahn. Melvin Seals had the next longest tenure, serving as keyboardist from 1980 onward. Seals became band leader following Garcia's death and changed the band's name to JGB.